I’m just back from a week in Darwin in the Northern Territory of Australia having attended the 2016 Asia Pacific Lymphology Conference. I’ve made a very short video giving a few highlights for you to view here. I’ll be working on a few blog posts over the coming weeks to talk about what I learnt at the Conference. I’m still processing all the information – my brain hurts! I had a request after my last video for one that dealt with legs post cancer surgery, so here it is. Feel free to ask any questions if you need clarification. And if you would like to see videos on any other topics I’m open to suggestion. Lymphatic drainage and the immune system – winter’s here! People are often surprised when I tell them that the number one function of the Lymphatic System is to transport immune cells around the body. 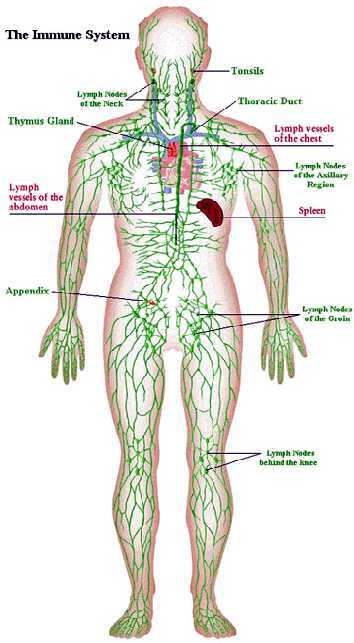 Basically, your lymphatic system IS your immune system. And yet if you go to the doctor because you are constantly getting sick you could be offered a script for antibiotics because they “may” help, but if you ask them about getting a Lymphatic Drainage treatment their response generally goes along the lines of … “well, it can’t hurt you I guess”. You can’t blame the doctors though, my lecturer (Neil Piller, himself a Doctor and lecturer in medicine) says that GPs have one class on the lymphatic system in all of their training. That’s one class, not one semester – four hours. I have no words for this. It makes my blood boil. Apparently it’s exactly the same for nutrition – one class. OK, I’m going to move on because I get really riled up thinking about that. So, what does it mean to say the lymphatic system transports immune cells? Immune cells are stored in lymph nodes for the most part, though there are also some circulating immune cells that do exactly that – circulate around the body looking for infection. Lymph nodes can also be referred to as “glands” and that’s probably how you are most familiar with them – your can sometimes feel your glands come up when you are sick, particularly in illnesses like glandular fever (or Mono if you’re from the US) or tonsillitis. You go to the doctor and he has a feel in your neck, under your armpits or in the groin area to see if the nodes are “up” (these are some of the areas where there are large collections of nodes). And this is a normal thing to happen when your body is fighting infection – the body is signalled to produce more antibodies so the nodes kick into action to make them (getting bigger in the process) and then circulate them through the body to the site of the infection, via you guessed it – the lymphatic system. What can happen is that with the winter weather our lymphatic systems can become sluggish and inefficient. That can be due to lots of different things e.g. cold temperatures or exercising less. When this happens the immune cells circulating around the body aren’t cleared out and replaced with new ones as efficiently as they should be, so the body is slower to respond to an attack of a virus and we succumb to illness. A regular maintenance session of lymphatic drainage massage helps to stimulate the immune system, increasing circulation and moving out the old immune cells and replacing them with freshly produced immune cells which are more effective at fighting off the viruses. Immune cells circulating in the lymphatic system can target a pathogen and transport it to the nearest lymph nodes where that cell is neutralised and then the waste material is transported through the heart and kidneys then excreted out of the body. It’s a very efficient system when it is fully functioning. 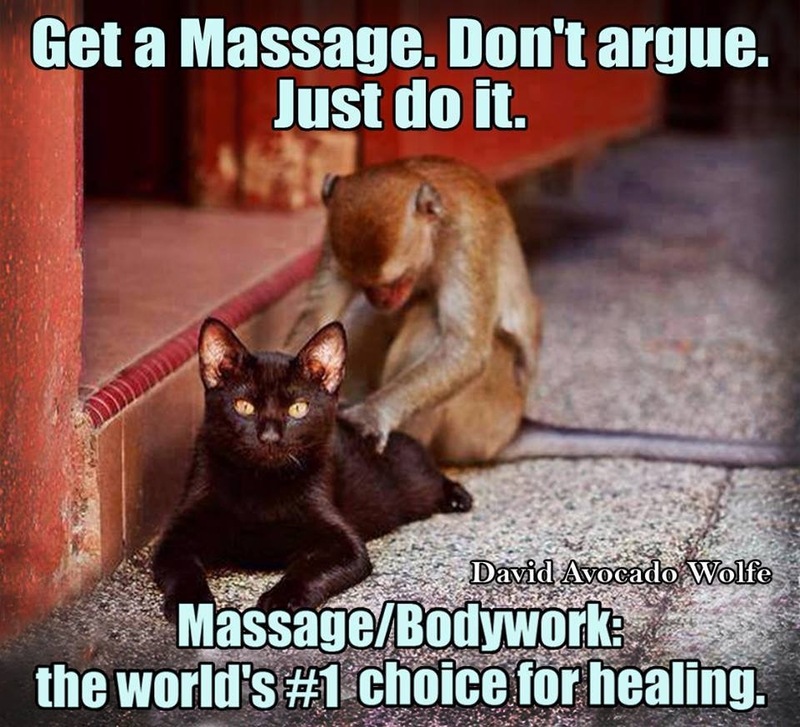 I suggest that people who want to keep on top of their immune systems have a regular Lymphatic Drainage massage. If you are generally healthy and are looking to maintain that health, then I suggest a session at the change of season, so once every three months. If your immune system is more compromised, then I’d aim for once a month, at least during the colder months when we can all be a little more run down. If you’d like more information on ways to build your immune system using lymphatic drainage please send me a message or visit my website here. Somehow the word itself gives me the heebie-jeebies. Hmm, does that say something about me? No comment. I seem to have a few ladies who are at that special time of their lives … you know the one … too little sleep and too many hot flushes. Not many people realise that lymphatic drainage can help ease some menopausal symptoms. Lymph fluid is made up of many different components – immune cells, waste matter, fatty acids and hormones (to name a few) so when you stimulate your lymphatic system you are making sure that everything is working optimally, including the circulation of your hormones. T came to see me a few weeks ago. She was recommended by a mutual friend who had a few sessions and found it beneficial on many levels (better sleep, felt lighter, skin looked amazing). T had come through menopause but was still suffering from night sweats and waking three or four times every night and had the sweats happening throughout the day too. Sleepytime tea helped a bit but not enough. She was exercising lots and eating healthily. We started the session with her face down so I could clear the nape of her neck, back and particularly the buttocks area. Then she turned over and I cleared her neck fully, her abdomen superficially and her face (best way to end a treatment, very relaxing). She floated off the table. She came in the following week and sat down exclaiming “oh my God”, I felt like I was in an episode of “Friends”. Secretly I was thinking … oh my God good or oh my god bad? She said that about once a year she gets a fantastic night’s sleep and it’s heaven. After the treatment she had three great nights’ sleep! She was almost jumping off the chair. I cheekily asked if she’d like the same again … duh! She came in for her fifth session this week and said that after each session she gets two or three good nights’ sleep and the following nights she still wakes two or three times. 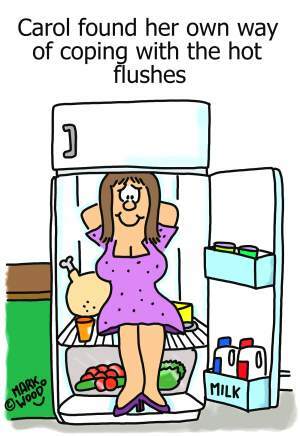 But during the day now she’s only having one flush and when it happens she has to ask herself if it’s because she’s cooking or doing some sort of heat producing activity. I think lymphatic drainage has become part of her life now. This post was orginally going to be written by my very tolerant friend, A. She’s been my test dummy since I originally started my massage study back in 2004 – she had a lumpectomy a few years before and had developed lymphoedema as a result. She’d get on my table and let me practice all my lymphatic techniques on her (and her husband donated his body to my remedial massage practice – man they were great friends). A. has been coming to see me over the years to help her keep her lymphoedema under control. Sometimes regularly, sometimes not. Life has this habit of jumping in the way of best intentions. She was going to write this post, but again, life has jumped in and the time has slipped away, so I offered to write it from her feedback. When I got my laser a few months ago, A. was one of the first on my table as guinea pig. We were amazed at how well she responded, there was significant softening of the fibrosis at the top of her forarm and her skin felt soft for the first time in ages. After the third week of my Vodder course I persuaded A. to let me again use her body in the pursuit of my studies and she duly rocked up on a Sunday afternoon and let me run wild with her. I explained that the most significant difference in the treatment protocol was the treatment of fibrosis. I would normally go in a bit firmer with her fibrosis but really kept in mind the idea that lymphatic drainage should always be gentle. But with Vodder, “aggressive” is the word they use in relation to fibrosis. Can you believe it? I still have bruises on my leg from where the lecturer demonstrated the fibrosis treatment on me – on someone without an issue it’s really painful, for someone with an issue, it feels normal. Ouch. So, I watched with anticipation as I started giving her the “aggressive” treatment. Her eyes widened and her jaw dropped. Luckily she trusts me. At the end of the session she had a feel of her forarm and couldn’t believe how much it had reduced and how great it felt. I spoke with A. on the following Wednesday. She said that she actually felt sort of bruised on Monday and Tuesday but that on Wednesday it felt normal again, but that the arm was still soft and feeling great. Normally she says that she’s ready to rip her compression sleeve off by about 8pm, but she was able to leave it on until bedtime. And normally within a couple days she starts to feel congested again, but not this time. She came in for a follow up after ten days. Progress report – her eczema on her hand was playing up, she had a paper cut (man do those hurt!) and a torn “quick” on one of her nails, all on the affected side. Normally that would mean big swelling and heaviness. While the arm wasn’t as good as the week before, it really wasn’t that bad, considering all the things that had gone on during the week. 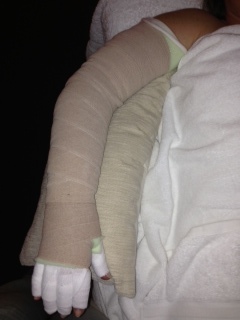 We did another treatment and towards the end my comment to her was “your arm’s squidgy”. She looked at me like I was a little deranged. Maybe I am? She sat up at the end of the treatment and investigated her arm … “you’re right, it is squidgy, and I have wrinkles”. Her sleeve just slid on. She had the cheesiest grin on her face – love it. So, had third treatment today and at the end she was so amazed she said we should have taken a video of the treatment. Well, too late for that, but we could take a video of her enjoying her soft arm – her favourite spot is the indent that she now has in her elbow, she hasn’t seen that for a long, long time. The video’s a bit dark, but that reflects the subdued ambience of my treatment room – it’s all about comfort! Gee, those aren’t exactly the words you want to hear when you ask a client how they felt after their last treatment. “It felt really weird”. Hmm. Let’s backtrack a bit. “A” came in for her first treatment in May. She’d had a lumpectomy in 2012 and eight weeks of radiation. She’d had some nodes taken but they were all clear. She’d noticed swelling in her breast right after surgery but had enough on her plate and didn’t give it much thought. It hadn’t gone down and had got a little worse. She goes to the same cancer support group I go to and I had given her my business card a while back and she decided to give me a go. When she came in, she had some pain and stiffness in the shoulder on the side of the surgery that was impacting on her exercise routine so I did some Emmett Technique quickly to release that then went on to the lymphatic work, clearing pathways away from the affected side and showing her how to clear her own nodes and tissue as well. At the end of the session her shoulder felt better but she seemed a little skeptical about any difference in the fluid in her breast. We booked her in for two weeks later. Two weeks later she came and said that her shoulder still felt better but that the breast didn’t feel any different. We did some more Emmett, but to both shoulders this time so that she would feel more balanced, then went on to the lymphatic drainage. This time, while I was working, I felt like we had achieved good clearance and she said it felt pretty good. She came for her next appointment and that’s when she greeted me with “it felt really weird”. Luckily she followed that up with … “I woke the morning following the treatment and felt my breast and it felt really weird … there was no fluid … it was just breast! And it felt like just breast for a full week and when it started to get fluidy again I got my husband to clear it away from the breast like you showed me.” I had to smile, I think her husband clearing her breast is good on so many different levels, not just to move the fluid along but also to empower him to be part of her recovery, not to mention a bit of intimacy. I think she’s a convert!